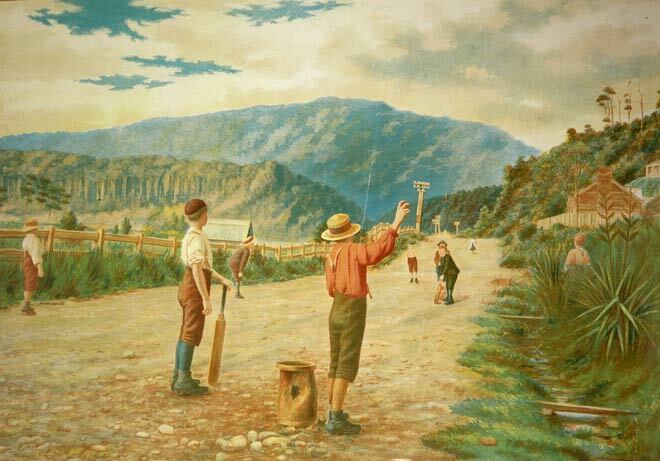 This artwork depicts boys playing an impromptu cricket game in a West Coast mining town, probably Dobson, around 1896. By the 1890s many children had more leisure time. Boys in particular were encouraged to take up organised team sports including rugby and cricket. This was also reflected in spontaneous play, with children organising their own variations on games such as cricket.